Are you thinking of getting replacement double glazing? Perhaps it’s time for some home improvements to your property! 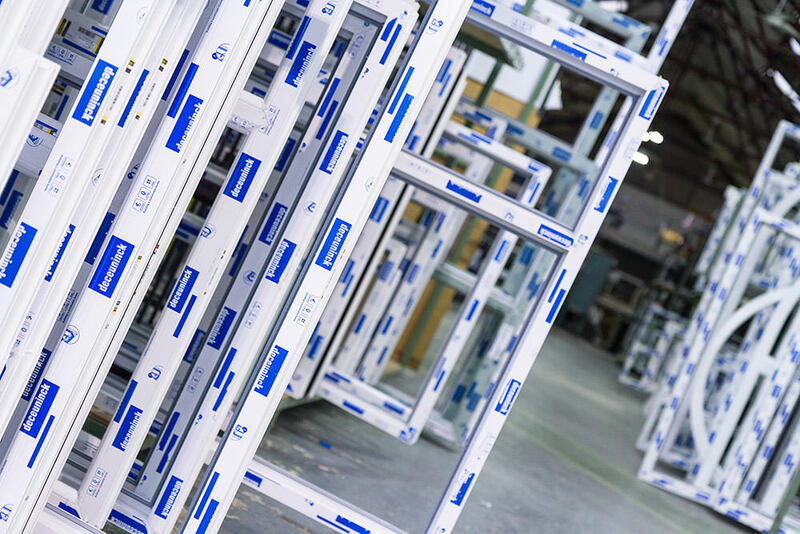 There are so many options out there, and so many double glazing suppliers and installers to choose from, it can seem a little overwhelming. Sternfenster is the leading double glazing supplier in the UK, and we work with approved and vetted installers local to you wherever you live. Our mission in this blog is to give you an insight into the superb windows we supply across the UK, so that you can find the right double glazing option for your home. Our trusted installers are all experts, so when you choose a Sternfenster approved installer, you will get our high-quality windows combined with their impressive installation services. Once you have an idea of the perfect windows for your home, visit our postcode checker and find an installer close to your UK home. Read on to discover the spectacular double glazed windows that we offer. Our range of uPVC windows is exceptional. They are carefully crafted to meet the highest standards by our experienced team, then inspected and hand finished before being sent to your local installer for your home improvements. 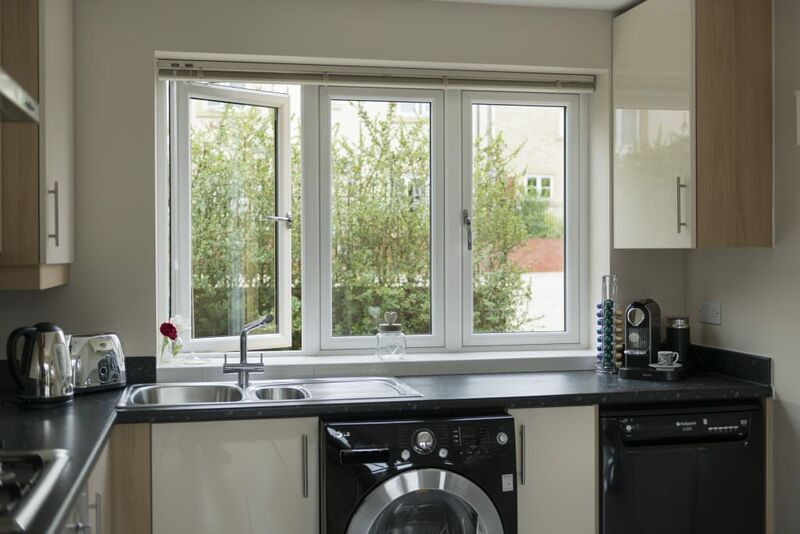 We have 40 years of experience in the fabrication of uPVC windows. 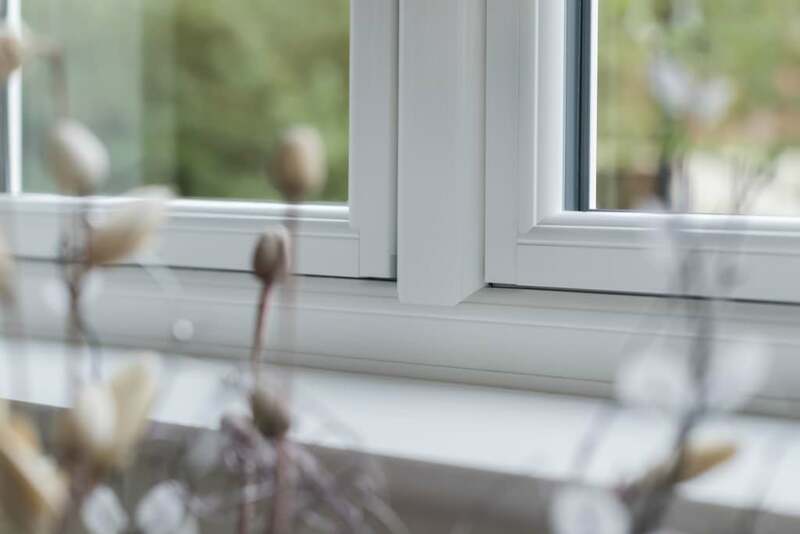 Our family-run business employs expert craftsman to ensure that every uPVC window we produce is outstanding and offers the very best quality to UK homeowners. Let’s start by taking a look at our Deceuninck range of uPVC windows, then move on to our premium ranges from StyleLine and Residence 9. Sternfenster is proud to be fabricators of the incredible Deceuninck range of uPVC windows. These exceptional windows are brilliant when it comes to efficiency and security, as well as style, and will enhance any UK home. The range of uPVC windows is crafted to provide superb thermal performance, as they are fitted with a spacer bar to create a thermal barrier. This ensures that heat loss is minimised and draughts are eliminated, keeping your home warmer for longer and saving you money on your heating. Our uPVC windows from Deceuninck are intelligently designed to offer superior security. They are internally beaded so that the glass can’t be removed from the outside, which is then combined with an exceptionally strong profile. We can even upgrade them for you so that they achieve Secured by Design accreditation. We pride ourselves on beautiful aesthetics in all our products, and our Deceuninck uPVC windows are no exception. They come in a range of realistic wood finishes to give you a stylish and traditional look. We even look at the details to ensure that every aspect is perfect, such as traditional framework with classical scotia beading. When you choose our Deceuninck windows, you will be able to select from a range of stained glass and bevelled glass to create a unique and eye-catching look for your home improvements. They come in a range of styles too! Casement windows, tilt and turn windows, flush sash windows and vertical sliding sash windows, ensuring that you can find the perfect match for your home. No window collection would be complete without the option of the StyleLine range. These stunning windows are a state of the art creation that combines all the features of modern technology with the artistry of streamlined design. They are a premium range of uPVC windows that are ideal for so many homes. They are crafted using an innovative process that pushes excess plastic within the frame joints, creating an exceptionally strong profile with a sleek finish. They have an exquisite and flawless look that blends in beautifully with any home, making these uPVC windows incredibly popular. StyleLine windows are a leading option for security too, as the innovative manufacturing process combined with steel reinforcement and internal beading make these windows exceptionally robust. They are fitted with state of the art multi-point locking systems too, achieving incredible security performance for your home. StyleLine uPVC windows are tailored to your tastes, coming in a variety of options to give you the chance to find your perfect windows. They are highly durable and offer exceptional long-term performance. The ultimate range of uPVC windows for absolute authenticity and style, is the Residence 9 range. These simply amazing windows are a cut above the rest, with a clever construction that enables them to offer outstanding performance and style. With Residence 9 uPVC windows, you will benefit from all the beauty and style of traditional timber, but be free from all the upkeep and issues that wood windows are renowned for. Residence 9 windows have a completely authentic timber appearance, allowing you to enhance your home with a traditional charm. 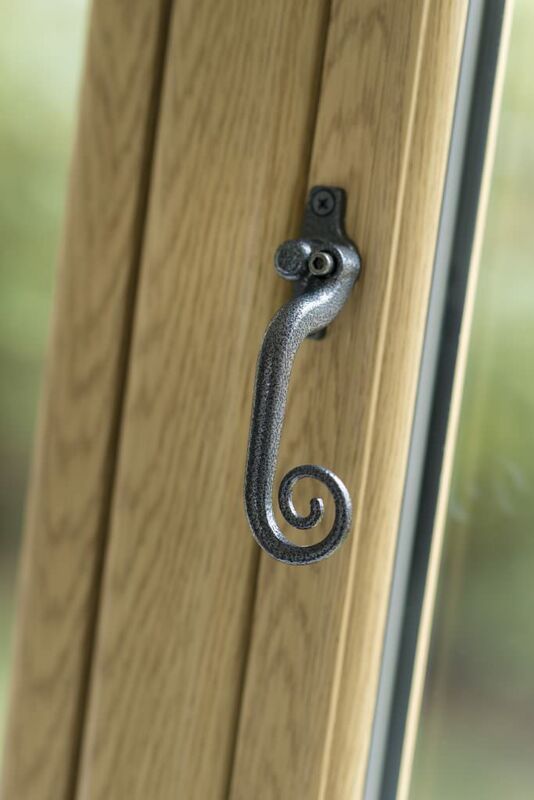 These stunning windows are mechanically joined for a genuine aesthetic, and we even offer the choice of monkey tail handles to enhance their traditional appearance. In fact, they are so exact in their replication of wood that they are a popular replacement window in conservation areas. 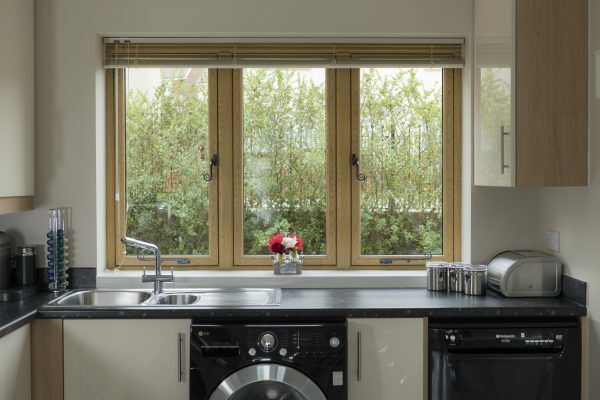 Our Residence 9 windows are inherently strong and robust, designed to last for many years to come.They will provide exceptional operation and aesthetics with only a simple cleaning routine. Unlike their wooden predecessors, you will never need to sand, varnish or paint your Residence 9 Windows, allowing you to enjoy fantastic quality without the chores. With the Residence 9 Range, you are accessing superior quality and design, expert craftsmanship and outstanding performance. They are incredibly energy efficient and achieve incredibly impressive levels of security to keep your home cosy, safe and secure. If uPVC isn’t quite right for your home, we also offer an amazing range of aluminium windows from Smart. These outstanding windows are the ideal choice for when you want ultimate stylishness. Aluminium windows have a super slim frame that ensures you benefit from the maximum glazing area possible. Not only is this brilliant for providing you with wonderful views, it is also a great feature for enhancing thermal performance. In fact, our aluminium windows are incredible when it comes to energy efficiency, keeping your home warm and cosy no matter how cold it is outside. Aluminium windows from Sternfenster have a polyamide thermal break, which enables them to offer superb thermal performance, meeting and exceeding the standards set by Building Regulations. One of the major advantages of choosing aluminium is that it is a super strong material which offers unrivalled robustness and durability. Aluminium will not warp, rot or rust, and it will give you endless performance. This is not only great for ensuring they stand up to the UK’s harsh weather, but it also means they are a great deterrent for potential intruders. 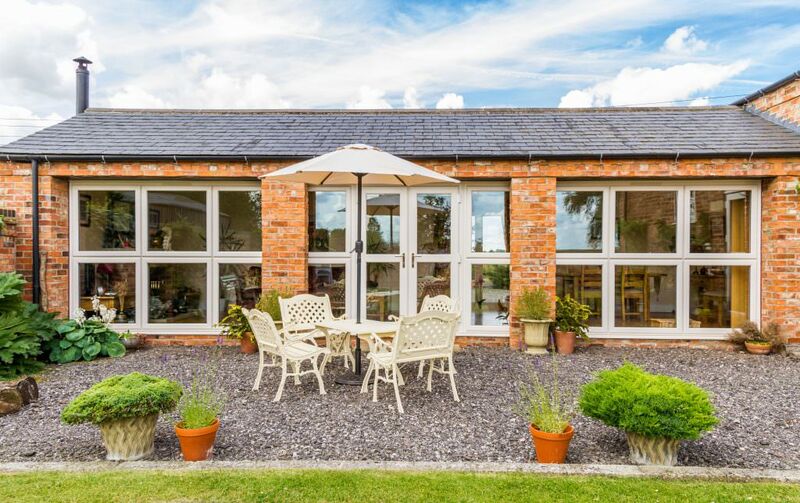 With aluminium windows, the most impressive feature is the style they offer your UK home. No other window range comes with the amazing variety of colour finishes that you can choose from with aluminium windows. At Sternfenster, we offer you a standard KL colour range as well as an extensive range of RAL colours. This means that whether you want a bright pink frame to create a visual feature, or a traditional royal blue to tie in with the traditional look of your home, we can achieve the right finish for you. As if this variety of options wasn’t enough to meet your needs, here at Sternfenster, we go a step further and offer bespoke colour options too, including the Sensation range from Smart which features beautiful textured finishes. You can even achieve a traditional wood appearance with our exceptional finishes. When you choose aluminium windows, you can also opt for dual colour options, letting you have an outer frame that complements your home’s exterior and an inner colour that suits your interior décor. Aluminium windows are the perfect choice for any UK home, but they are an especially great option for the environmentally conscious homeowner. 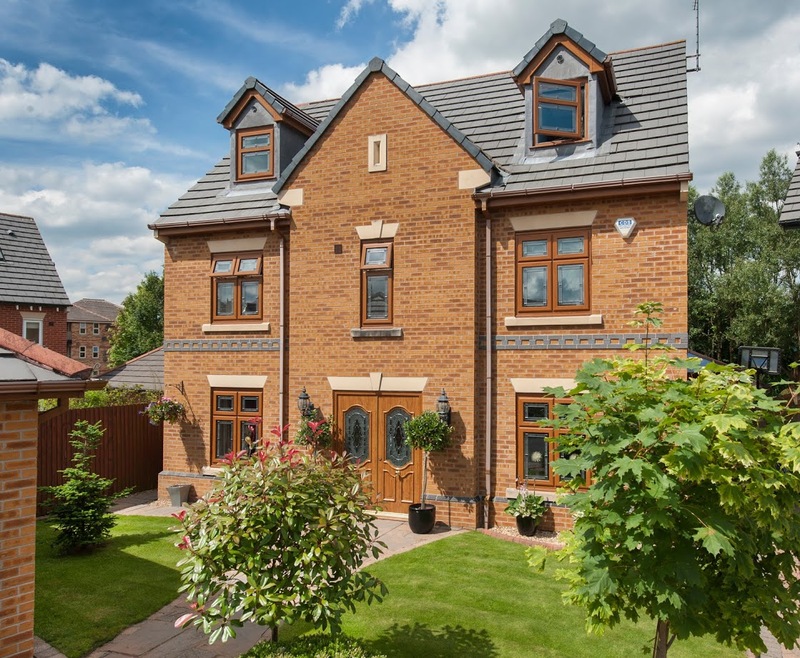 We all know how important minimising our impact on the environment is, and with aluminium windows, you can be safe in the knowledge that you are choosing a truly eco-friendly home improvement. Aluminium is a sustainable material as no matter how many times it is recycled or repurposed, it will still achieve the same high performance. Perfect for homeowners looking for replacement double glazing that is kind to the environment. We are sure that our guide to replacement windows in the UK has given you a lot to think about for your home improvements! Why not contact your local installer to find out more and get advice on which windows are right for your home improvements? Here at Sternfenster, we supply our windows across the UK to trusted installers, and finding one that is local to you couldn’t be easier. Simply enter your postcode and you will be given the details of approved Sternfenster double glazing installers in your area.